As part of our theme this month, we asked GoodGym runners to tell us how they are 'going further' with GoodGym. 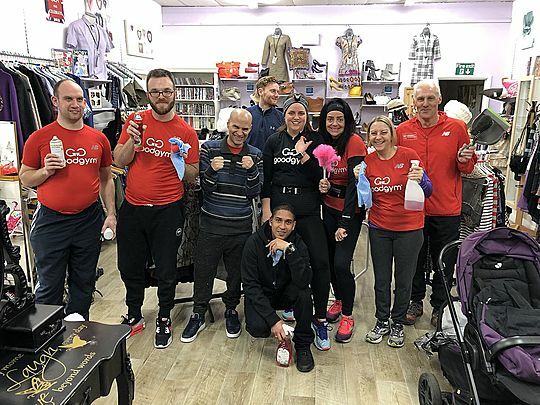 Here, Nick writes about the neighborly partnership that GoodGym and Bexley Mencap have forged and the difference it has made to their organisation and members. The clocks have gone forward and so have Bexley Mencap members– with the help of GoodGym. It’s exactly a year now since our learning disability members started to take part in GoodGym weekly group runs. Since then, they’ve become regular enthusiastic members – like clockwork you might say. Chris, Emanuele and Matt have clocked up over 30 sessions and been joined at various intervals by other interested Bexley Mencap members like Luke, Robert and Duncan. 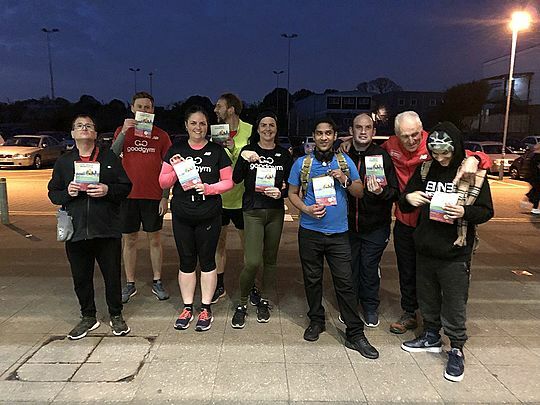 We told the story previously of how Bexley Mencap members met GoodGym – we’d see them meeting up in the entrance of the leisure centre after we were finishing our RunTogether keep fit group. Members were quick to see the benefits of carrying out good deeds locally while keeping fit at the same time. After all, we all share the same community. In the last twelve months members have helped out in charity shops and libraries, at youth, community and leisure centres, in parks and gardens, residential and care homes, as well as countless leaflet dropping for charity good causes. We've learnt new skills, been valued members of a lovely team, enjoyed ourselves and of course, had lots of healthy exercise and fun along the way! For some members, it’s been a springboard to take part in other community activities. Tim Dickson, our Group Leader has always very supportive along with regulars, Susan, Sarah, Peter and Shaun, to name but a few. Members now also go to the GoodGym Social events. It also helps that Bexley Mencap members are taking part in a Gateway Beacon Award from Royal Mencap. It’s like the Duke of Edinburgh award aimed at people with Learning Disabilities. So voluntary work and keeping fit ticks the bill very nicely in this respect. This makes GoodGym activities so ideal for everyone to take part in. You don’t need any special skills; just special people to give their time and commitment. And in return everyone benefits. Having a walking addition to a running group also definitely helps. Our members now take part in both making GoodGym activities even more accessible and there is always a healthy competition about which group will get to our task first. We hope it will encourage new members to join as well. For my own part, I’m proud to be a Walking Leader. Too often people with Learning Disabilities don’t have a voice or else are reliant on others for help, But thanks to GoodGym, I like to think that their actions speak louder than words. Make your community an even better place to live. You can run with GoodGym Bexley each week. We meet every Monday at Crook Log Leisure Centre at 18:45. Find out which upcoming races GoodGym runners are taking part in. See upcoming GoodGym group runs.